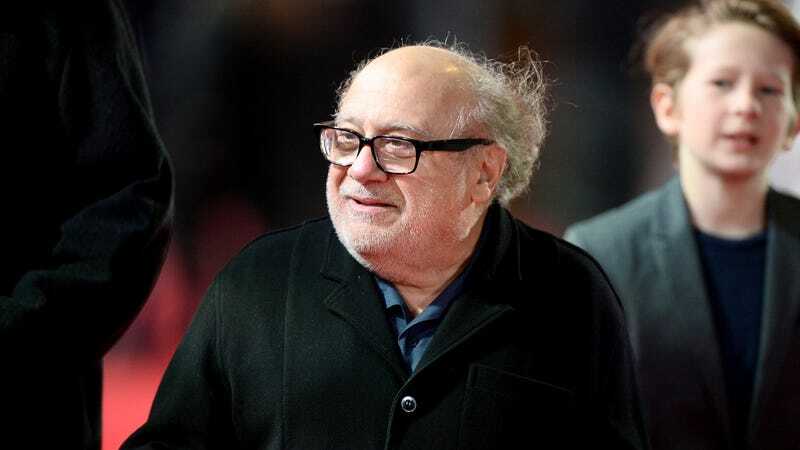 For many of us, Danny DeVito has been a stalwart, unshakeable presence in every phase of our lives; from reruns of Taxi, to roles in films like Matilda, Batman Returns, or Throw Momma From The Train, to his current multi-year run as the strangest, most vulgar presence on the wonderfully strange and vulgar It’s Always Sunny In Philadelphia. Hence, presumably, why a Pennsylvania high school student named Allison Closs recently decided to take a cardboard cutout of the beloved character actor as her senior prom date, happy in the certainty that the well-known limoncello magnate wouldn’t let her down. Still, you don’t get to be Danny Goddamn DeVito by letting a joke just stop there, so today The Daily Dot reports on DeVito’s response to Closs’ homage. (Or possibly that of his Sunny co-worker Rob McElhenney, who took the picture in question.) The Instagram post shows Flesh DeVito standing on the Paddy’s Pub set from the show…next to a cardboard cutout of Closs. And while there’s something vaguely unsettling about a bunch of grown men presumably commissioning their prop department to create a life-size recreation of a random teenage girl, Closs herself seems delighted by the gesture. We can only hope that someday Cardboard Danny and Cardboard Allison might meet, swapping stories about, we don’t know…corrugation? Or maybe some other beloved viral internet stunts. Is This The Real Dan? Is this just fantasy?